It's World Recycle Week and H&M has a special offer! 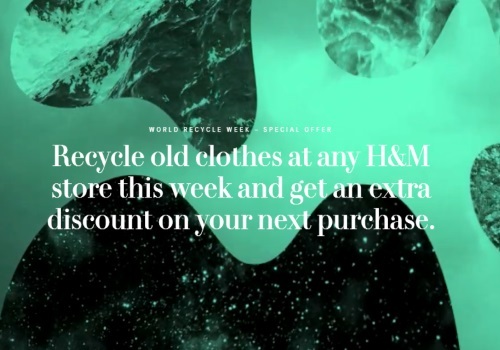 Recycle your old clothes at any H&M store this week and get an extra discount on your next purchase! Normally you get a $5 off coupon when you bring in your old clothes to donate, during this week you can get 2x $5 off coupons! Offer is valid April 18-24, 2016 in-stores only. Ask store staff for details of the discount in your area.